“Start a fire in my heart. 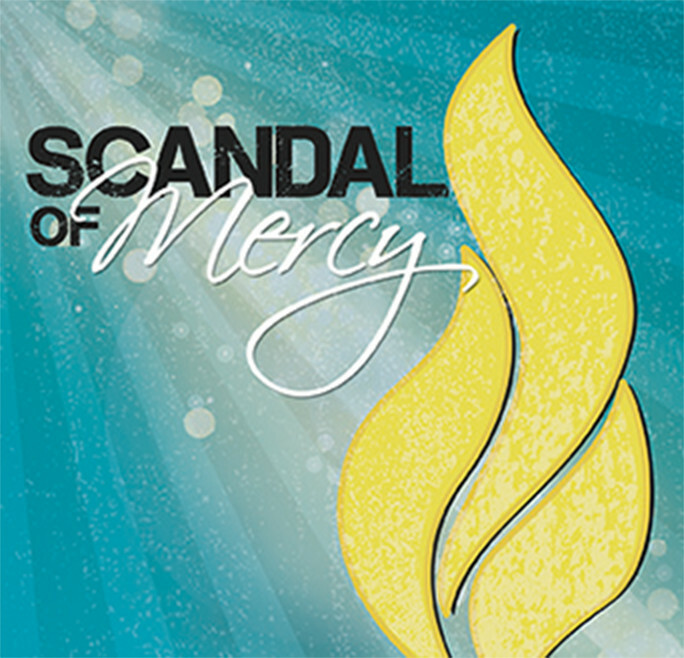 Featuring original songs by Ike Ndolo; Greg Walton; Steven Joubert; Paul J. Kim, featuring Jenny Pixler; and Thomas Muglia, this collection blends Christian and human messages of hope, healing, compassion, forgiveness, and grace for a world in need of mercy. We protect the information that you provide when you register for a workshop, respond to a survey, purchase a publication, or participate in a forum. We use this information for internal business purposes only, such as maintaining and improving our Web site, developing publications and services that correspond with your interests and ensuring we have your current contact information. We maintain appropriate security measures to keep this information private. These cookies are necessary for the website to function and cannot be switched off in our systems. These are used to let you log in, to ensure site security and to provide shopping cart functionality. Without this type of technology, our Services won't work properly or won't be able to provide certain features and functionalities. We may disclose personal information if we have a good-faith belief that doing so is required by a subpoena or other judicial or administrative order or otherwise required by law. Additionally, we may disclose personal information where we, in good faith, deem it appropriate or necessary to prevent violation of the Saint Mary’s Press Call to Mercy's Terms of Service, or our other agreements; take precautions against liability; protect the rights, property, or safety of Saint Mary’s Press Call to Mercy, any individual, or the general public; maintain and protect the security and integrity of our Services or infrastructure; protect ourselves and our Services from fraudulent, abusive, or unlawful uses; investigate and defend ourselves against third-party claims or allegations; or assist government enforcement agencies. You may, as a visitor to our website, choose not to provide us with personal information. You may also, at any time, access your personal information to update, correct, or delete certain personal information about you by contacting us at info@calledtomercy.com or at the address set forth above in the “Contact Us” section. The content in this application was acquired, developed, and reviewed by the content engagement team at Saint Mary’s Press. Content design was coordinated by the passionate team of creatives at Saint Mary’s Press. Copyright ©2019 by Saint Mary’s Press, Christian Brothers Publications, 702 Terrace Heights, Winona, MN 55987-1320, www.smp.org. All rights reserved. No part of this application may be reproduced by any means without the written permission of the publisher. If the App allows you to submit, send or post material, any information, creative works, ideas, concepts, designs, plans, techniques or other information contained in any material submitted, sent or posted by you will be deemed not to be confidential. By submitting, sending or posting any such material, you grant Saint Mary’s Press a perpetual, non-exclusive, worldwide, royalty-free, unrestricted, irrevocable and transferable license to reproduce, display, distribute, adapt, transmit, store, edit and otherwise use such material, in whole or in part, as deemed appropriate or suitable by Saint Mary’s Press, including use for promotional or other commercial purposes, and you waive and release any and all claims against Saint Mary’s Press for any use of such material. You represent and warrant that you are the author of all material that you submit, send or post or that you have secured all necessary licenses and permissions from the author or other owner of the copyright and other rights in and to the material to submit, send or post the material. You also represent and warrant that all of the information contained in any material submitted, sent or posted by you will be accurate, will not defame any person, will not be obscene or pornographic, and will not violate any “moral rights” or any person’s right of privacy, publicity or confidentiality. Saint Mary’s Press is not required to accept any material submitted, sent or posted by you or to maintain or store any such material. Saint Mary’s Press may remove, delete or destroy any material submitted, sent or posted by you at any time, with or without cause, and without notice to you. You agree not use the App for any commercial purpose, including but not limited to use of the App to buy or sell goods or services. You agree not to impersonate any person or entity, make any false or misleading indications of origin or endorsement, or submit, send or post any material which infringes on any right of any person, including but not limited to copyright, trademark, trade secret, patent, right of confidentiality, contract, right of privacy, right of publicity or any other right. You agree not to submit, send or post any material which is fraudulent, threatening, harassing, abusive, unlawful, defamatory, obscene or offensive or which advocates or encourages conduct that would be in violation of law or give rise to civil liability. You agree not to launch any automated system, including without limitation, “robots,” “spiders,” or “offline readers.” You agree not to collect or harvest any personally identifiable information, solicit any person for commercial purposes, upload, transmit or post any spyware or malicious or harmful code, or prevent any other person from using the App. All trademarks, service marks, logos and trade names displayed in the App are the property of Saint Mary’s Press or are licensed to Saint Mary’s Press. You may not use any Saint Mary’s Press or third party trademarks, service marks, logos or trade names displayed in the App in any manner or for any purpose. This App may contain links to third party websites or allow you to access third party websites or other features operated or maintained by a third party. You are solely responsible for complying with the rules established for the use of any such third party websites or other features. Saint Mary’s Press does not warrant, endorse or guarantee any products or services offered by or through any such website, and shall not be responsible or held liable for the content of any such website or for the products or services provided by or through any such website or by the sponsors or hosts of any such website. THE APP IS PROVIDED “AS IS” WITHOUT ANY WARRANTY OR REPRESENTATION OF ANY KIND, EXPRESS OR IMPLIED, INCLUDING, WITHOUT LIMITATION, ANY WARRANTY OR REPRESENTATION AS TO THE CONTENT OR FUNCTIONS OF THE APP; THE SUITABILITY, ACCURACY OR COMPLETENESS OF ANY INFORMATION CONTAINED ON THE APP OR OBTAINED THROUGH USE OF THE APP; YOUR ABILITY TO DOWNLOAD, INSTALL OR USE THE APP; THE SUITABILITY, SEARCHABILITY, OPERATION, OR PERFORMANCE OF THE APP; THE COMPATIBILITY OF THE APP WITH ANY MOBILE DEVICE, COMPUTER, OPERATING SYSTEM OR SOFTWARE; OR ANY WARRANTY OF TITLE, NONINFRINGEMENT, MERCHANTABILITY OR FITNESS FOR A PARTICULAR PURPOSE. SAINT MARY’S PRESS DOES NOT WARRANT THAT THE APP OR ANY SERVER FROM WHICH THE APP IS OBTAINED WILL BE SECURE OR WILL PROVIDE UNINTERRUPTED SERVICE OR BE ERROR-FREE OR FREE OF VIRUSES OR OTHER POTENTIALLY HARMFUL CODES. IF YOU ARE DISSATISFIED WITH THE APP FOR ANY REASON, YOUR SOLE REMEDY IS TO DISCONTINUE YOUR USE OF THE APP. SAINT MARY’S PRESS SHALL NOT BE LIABLE FOR ANY DIRECT, INDIRECT, INCIDENTAL, SPECIAL, CONSEQUENTIAL OR PUNITIVE DAMAGES OR EXPENSES OF ANY KIND ARISING OUT OF OR IN CONNECTION WITH THE APP OR YOUR USE OF THE APP, YOUR INABILITY TO USE THE APP, THE PERFORMANCE OF SAINT MARY’S PRESS UNDER THIS LICENSE, THE TERMINATION OF THIS LICENSE FOR ANY REASON, ANY LOSS OF DATA, ANY INTERRUPTION OF BUSINESS, OR ANY INTERRUPTION OR CESSATION OF USE OF THE APP FOR ANY REASON, WHETHER SUCH DAMAGES ARE BASED ON CONTRACT, TORT, STRICT LIABILITY OR OTHERWISE, EVEN IF ADVISED OF THE POSSIBILITY OF SUCH DAMAGES. IN NO EVENT SHALL THE TOTAL AGGREGATE LIABILTY OF SAINT MARY’S PRESS FOR ALL CLAIMS, LOSSES OR DAMAGES RELATED TO OR ARISING OUT OF YOUR USE OF THE APP OR THE TERMINATION OF YOUR LICENSE TO USE THE APP EXCEED THE TOTAL AMOUNT WHICH YOU PAID FOR THE USE OF THE APP. NO CLAIM MAY BE MADE AGAINST SAINT MARY’S PRESS UNLESS SUIT IS FILED WITHIN ONE YEAR AFTER THE EVENT GIVING RISE TO SUCH CLAIM. You will be responsible for payment of any sales, use or value added taxes assessed by any government or government agency or entity in connection with your purchase or use of the App. No Assignment The license granted hereunder may not be transferred or assigned. Any attempted transfer or assignment is void and will be grounds for immediate termination of this license. Your duties, obligations, representations, warranties and indemnities and the rights of Saint Mary’s Press will survive the expiration or termination of your license to use the App. This agreement shall be governed by the laws of the State of Minnesota, without regard to its conflicts of law principles. Venue and jurisdiction for all disputes or claims arising under or out of this Agreement or the access to and use of the App shall be exclusively in the federal and state courts serving Winona, Minnesota.